Here we go! 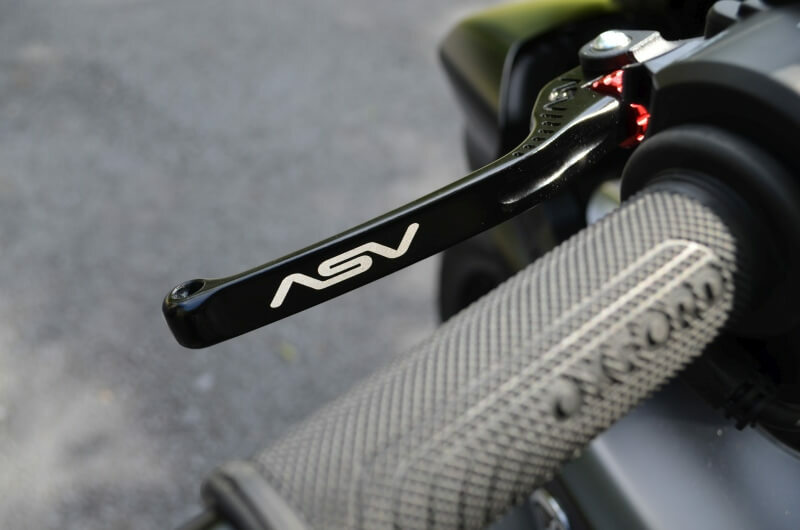 ASV levers are now available on pre-order. Why pre-order? Simple. We're building our inventory and are going to use this initial buy to gauge how many sets to keep in stock of each configuration. Why should you buy the ASV levers? We like them - and so should you . They are the most finely adjustable lever on the market, they pivot out of the way in the event of a crash (and have a killer 3 year replacement warranty if they break), and they feel and look great. But back to the adjustability: if you have a hard time reaching the stock FZ-10/MT-10 levers (you're not alone), these levers will do the trick. We only sell what we use, and these are the best levers we've ever used. Period. We'll be running a special for the rest of the month: pre-orders will be accepted between now and the end of the month. We're going to place one large initial stock purchase, so all orders will ship during early October. Members who pre-order combo sets will receive a 5% off coupon good for anything on our site. Yes - anything. Edit: Forgot - please contact us before ordering so we can set you up for the future discount code. Mention the FZ10LEVER code. ASV's are all that I run, have had em on my dirt bikes for years!